… and Boeing delivers it’s 7000th 737! On last December Boeing delivered it’s 7000th Boeing 737 to FlyDubai. This new Next Generation 737-800 has been equipped with the new Boeing Sky Interior witch create a more smooth and pleasant environment to passengers during flight. 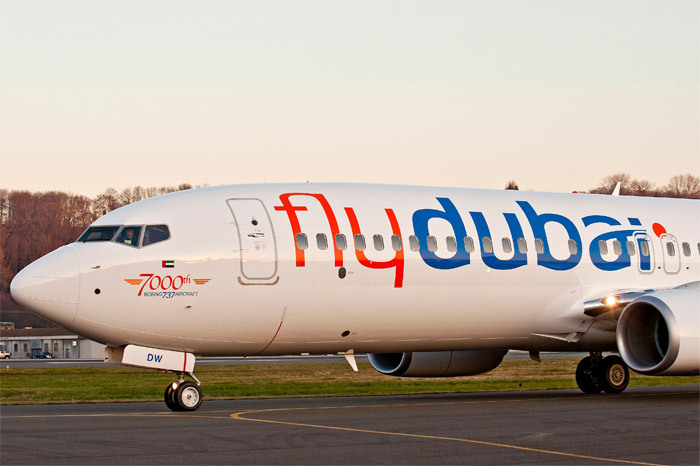 FlyDubai was in 2010 the first airline to present their passengers with the new Sky Interior from Boeing and now has the honor to receive the 7000th unit of this well succeed model. At this tome Boeing has more than 5400 737 in service in more than 358 airlines and 114 different countries. ← Airbus delivers 7000th unit!